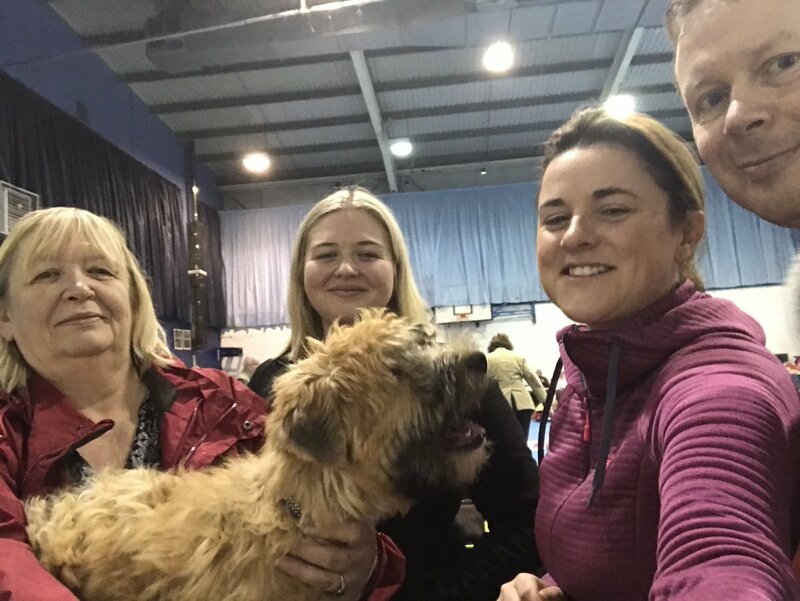 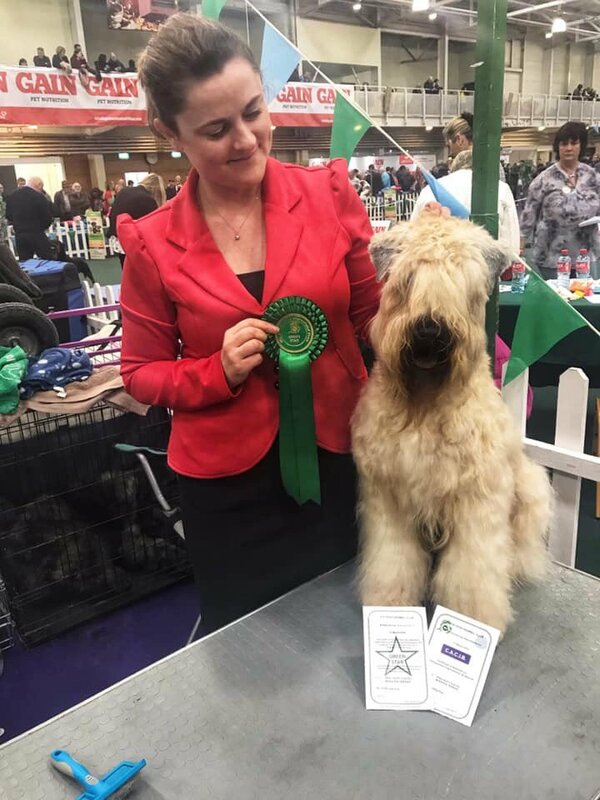 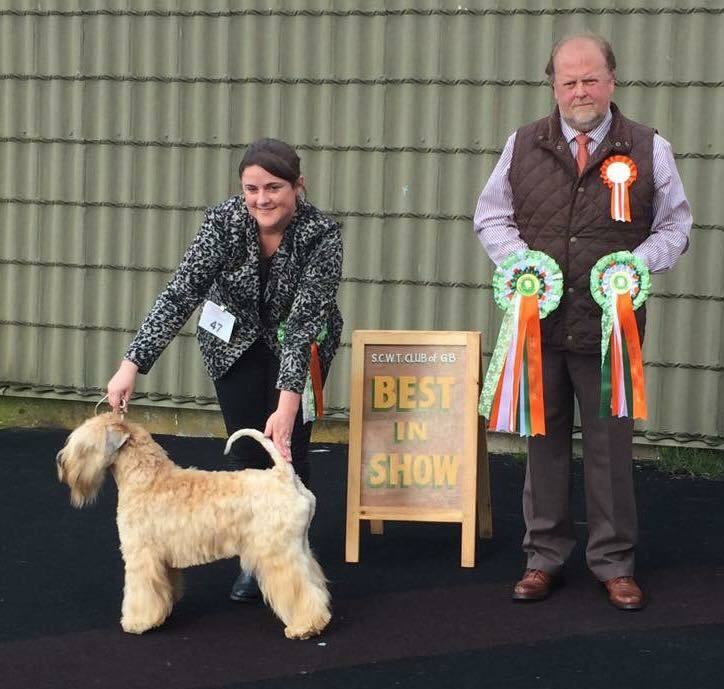 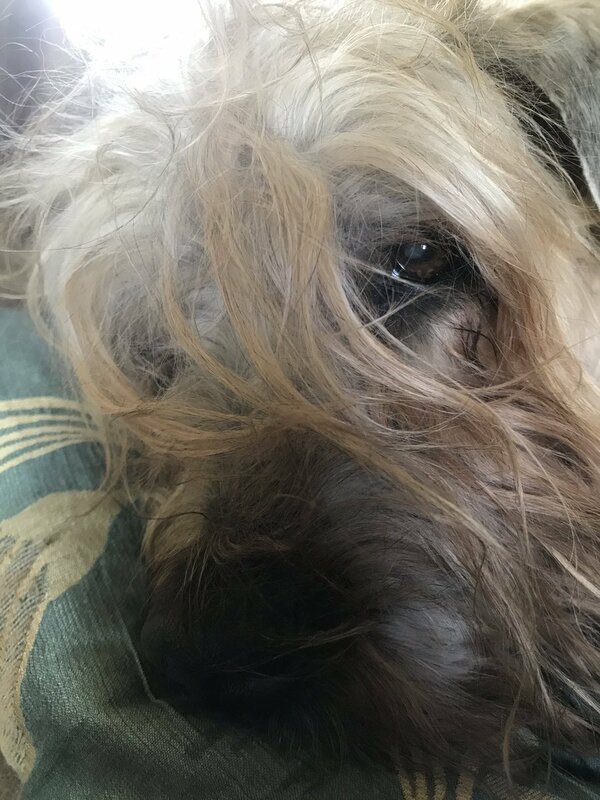 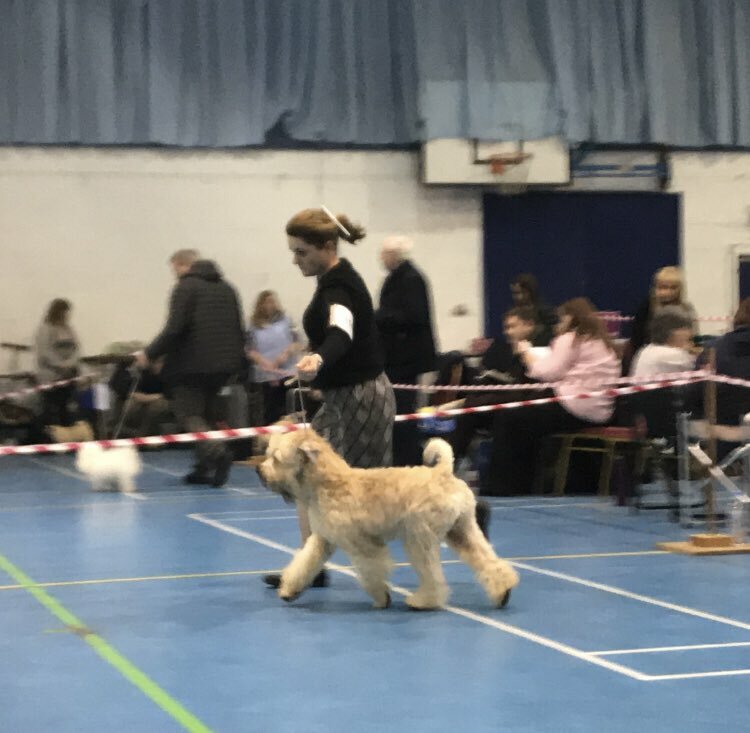 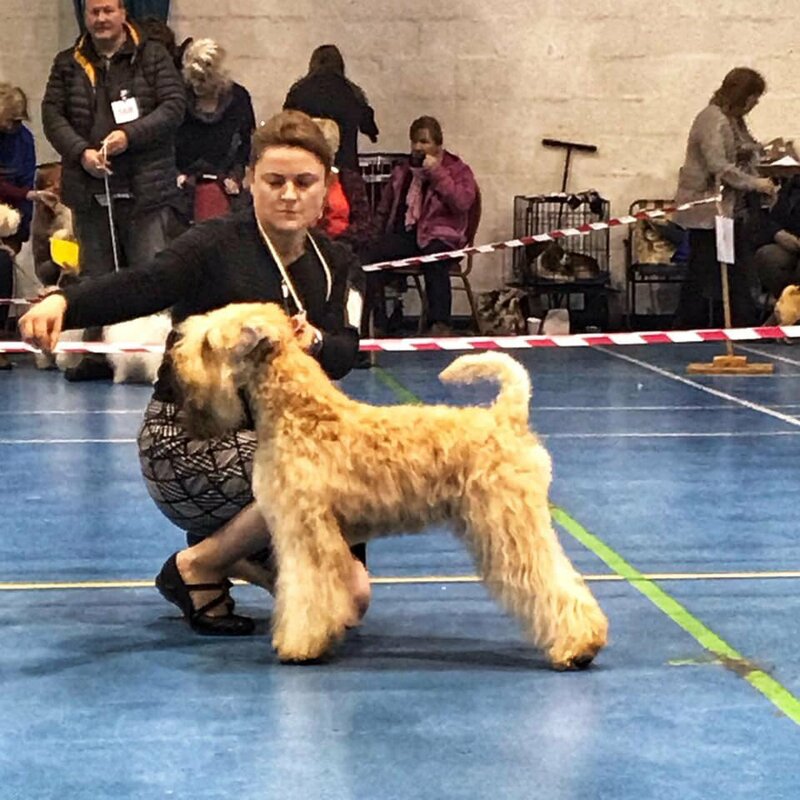 Silkcroft One Step Closer JW aka Perri has been awarded BEST IN SHOW at the Soft-Coated Wheaten Terrier Club of GB Open Show North 2015! 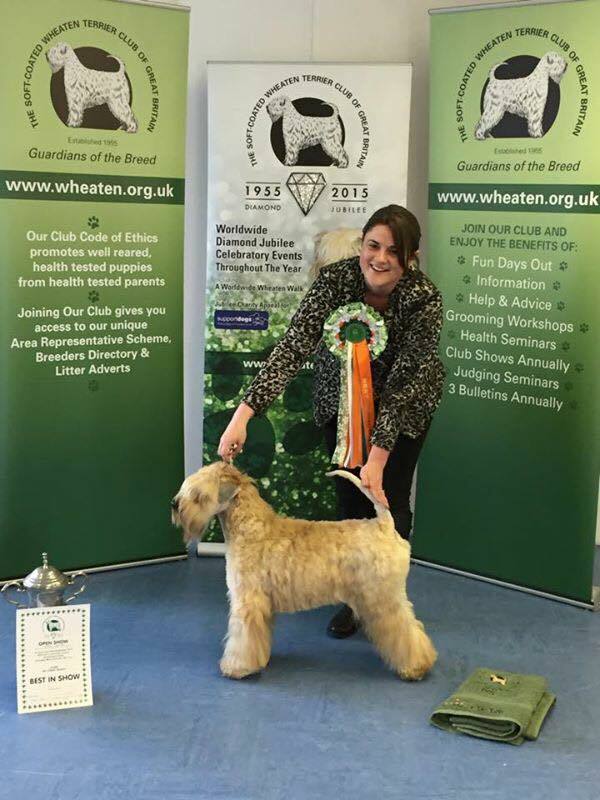 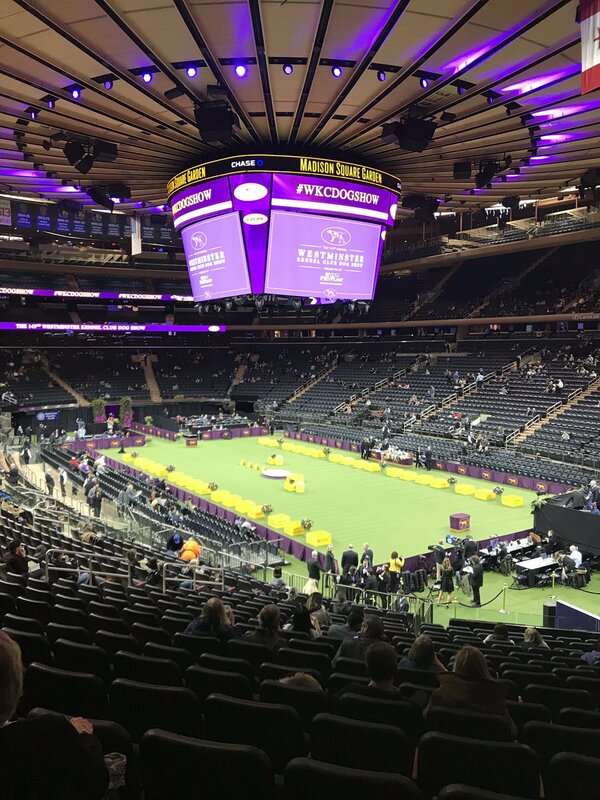 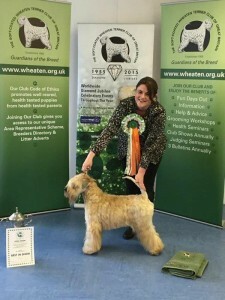 Judge Neil Straw awarded Perri the win over what was a record entry of 58 wheaten at the Club Show. 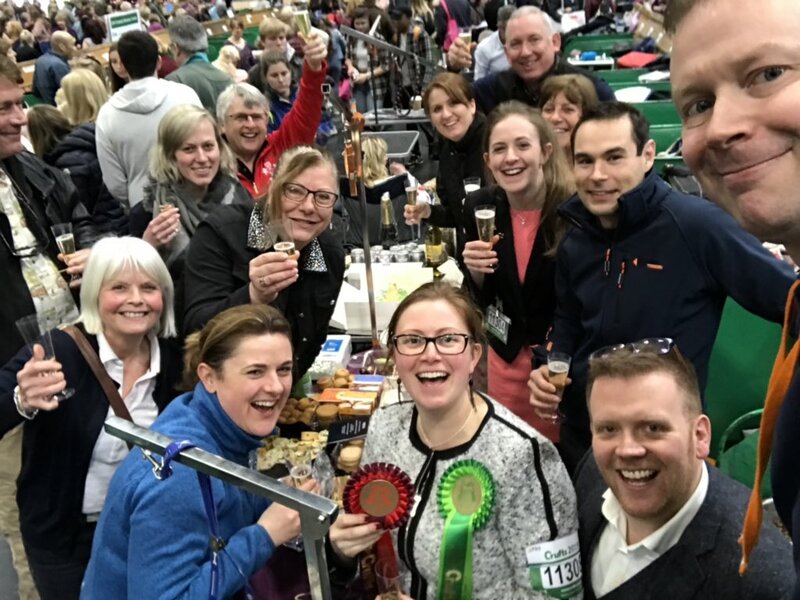 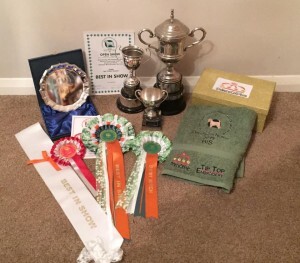 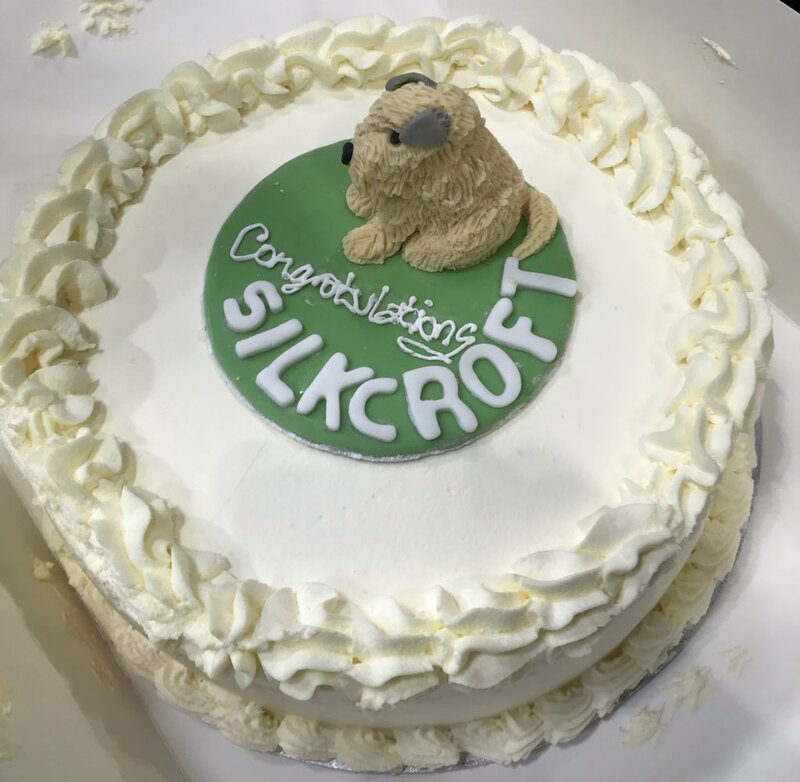 Well done handler Cheryl and smaller Silkcroft Team (just Harriet and Gail).